If you are interested in learning about the flora and fauna of the Karst caves, don't miss the opportunity to visit the Speleovivarium. The only museum of its kind, the Speleovivarium is located in the heart of Trieste, in a tunnel that is a former air raid shelter. The unusual location was chosen for its physical and environmental characteristics, similar to those of natural Karst caves. This enabled speleobiologists to create an ideal habitat where examples of flora and fauna from caves in Trieste's Karst Plateau could be raised in captivity. 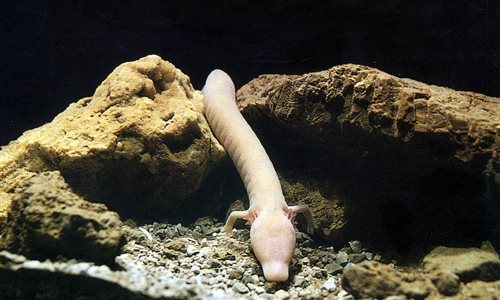 The undisputed star of the museum is the olm, an amphibian rarely seen in nature, whose habitat is limited to the area between Postojna and the Gulf of Kotor.